Rio announces joint venture with Chinese miner (0) June 2, 2011 Chinalco and Rio Tinto have announced a joint venture (JV) to explore mainland China. Australia, Germany increase mining collaboration (0) June 2, 2011 Australia and Germany have announced plans to increase co-operation and collaboration in the resource and energy sectors. Rio presents PM with reconciliation plan (0) June 2, 2011 Rio Tinto and Reconciliation Australia have taken steps to establish closer ties with business and Indigenous communities, with an action plan handed to Prime Minister Julia Gillard yesterday. Industry employer slams Fair Work decision on industrial action (0) June 2, 2011 Industry employer group AMMA says it is disappointed at the decision handed down by Fair Work Australia on industrial action procedure. Coolgardie plans mine vehicle levy (0) June 2, 2011 The Shire of Coolgardie is looking to a levy on mining haul trucks to deal with increased traffic volumes on its roads. BHP iron ore train derailed (23) June 2, 2011 BHP Billiton has seen a derailment of an iron ore train on its Newman line in the Pilbara. Mining unions to meet with BMA (0) June 1, 2011 Queensland mining unions met with the BHP Billiton Mitsubishi Alliance (BMA) this morning to discuss working conditions. Pike River commissioners costing $1 million (0) June 1, 2011 The New Zealand government will pay almost $1 million in fees to the three commissioners investigating the Pike River Coal tragedy. Twiggy Forrest stepping down as FMG boss (0) June 1, 2011 Andrew “Twiggy” Forrest will step down from his position as chief executive of mining company Fortescue Metals Group (FMG). Bligh announces billion dollar Abbot Point coal expansion (0) June 1, 2011 Queensland premier Anna Bligh has announced a massive $6.2 billion upgrade of the Abbot Point coal terminal. Woodside settles on sexual discrimination case (0) June 1, 2011 A former Woodside executive has been awarded $170 000 over a sexual discrimination claim relating to her maternity leave. Burrup to block Yara explosives plant (0) June 1, 2011 Burrup Fertilisers’ Pankaj Oswal says he will block Yara International’s planned explosives plant on Western Australia’s Burrup Peninsula. Record fine for WA metalwork company paying workers $3 an hour (0) June 1, 2011 A metalwork company in Western Australia has been charged a record penalty and ordered to repay with interest the tradesmen it paid less than $3 an hour. Newcastle Uni secures mining research funds (0) June 1, 2011 The University of Newcastle has been granted more than one million dollars to develop new mining technology. Pacific National expands coal rail facilities (0) June 1, 2011 Pacific National has invested more than $150 million into the development of new coal train maintenance facilities in Queensland. Mining village begins in Blayney (0) June 1, 2011 Initial work has begun in Blayney, in central west New South Wales, on a temporary accommodation village for miners. 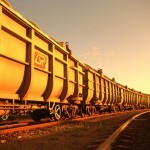 Cazaly considering iron ore export options (0) May 31, 2011 Cazaly Resources is reconsidering its export options after being locked out of Kwinana and Fremantle ports. New policies to protect QLD cropping land (0) May 31, 2011 In an Australian first, the Queensland government has introduced policy to protect cropping land in two key regions from mining and other development. Police protect CSG meeting in Brisbane (0) May 31, 2011 Police have formed a line to protect coal seam gas miners in Brisbane from angry protestors. Extra training for Indigenous mine workers (0) May 31, 2011 Indigenous employees at a mine in north-west Queensland have received special training to help them to secure jobs when the mine closes. 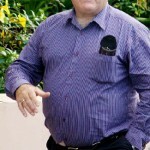 Clive Palmer says Australia “racist” towards China (0) May 31, 2011 Mining magnate Clive Palmer has labelled Australia “outstandingly racist” claiming they are slowing down Chinese growth and damaging investment. 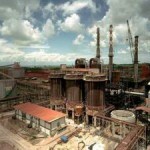 UN probe Lynas rare earths plant (0) May 31, 2011 The UN has begun an investigation into whether Lynas Corporation’s Malaysian rare earths refinery may emit radioactive pollution. Margaret River declared no go zone for coal mining (0) May 31, 2011 West Australian premier Colin Barnett has announced that no mining will occur in the Margaret River region, even if it gains formal approval. 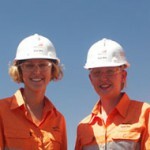 Youngest ever student enrols at WA School of Mines (0) May 31, 2011 While others her age are yet to finish year 10, one student in Western Australia has enrolled to begin studying at university. 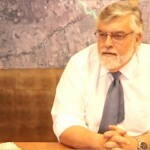 One on One: Kingsgate Consolidated’s Gavin Thomas [Video] (0) May 30, 2011 Australian Mining’s Jessica Burke sits down with Kingsgate Consolidated CEO Gavin Thomas. Macklin supports Gove decision (0) May 30, 2011 Federal indigenous minister Jenny Macklin has supported the Gove mining lease agreement between the Northern Land Council and Rio Tinto. 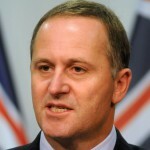 NZ govt could own Pike River: PM (0) May 30, 2011 New Zealand Prime Minister John Key has not ruled out the possibility of his government owning the Pike River Coal mine. PM looks towards 20% women in resource sector (0) May 30, 2011 Prime Minister Julia Gillard has told an audience of female miners that the mining boom will only benefit Australia if women are included. New health and safety regulations in NSW (0) May 30, 2011 New health and safety regulations have officially been passed through the Legislative Council in New South Wales as part of the federal government’s national harmonisation. 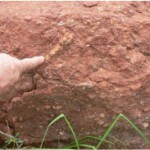 Brierty win Karara iron ore contract (0) May 30, 2011 Brierty has been awarded the hematite mining and services contract for the Karara iron ore project. 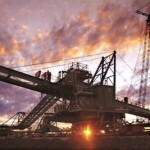 Queensland coal strikes ‘may be only option’, Union says (0) May 30, 2011 Union negotiations at BMA’s Queensland coal mines have come to a standstill. Wong denies WA being “punished” over mining royalties (0) May 30, 2011 Federal finance minister Penny Wong says Western Australia will not be “punished” over its royalty rates, part of which will be shared amongst other states. South Australia seeks to poach WA miners (0) May 30, 2011 The South Australian Government has unveiled a new campaign to draw miners to the state, away from Western Australia. 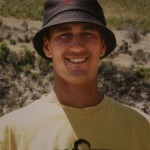 Four years, that’s how longs it’s been… (0) May 27, 2011 The FIFO Bachelor – Brett Gilbert – discusses some of the problems many a FIFO miner faces, and some solutions he’s found. Low coal sales hit the Hunter Valley (0) May 27, 2011 A huge drop in coal exports could cost the Hunter Valley $2 billion. Pike River recovery delayed again (0) May 27, 2011 Plans for recovery teams to enter the Pike River Coal mine have again been delayed by unsafe gas levels. Coal miner looks to town rather than FIFO camps (0) May 27, 2011 Stanmore Coal is looking to establish its central Queensland workers in local towns rather than in traditional mining camps. QLD introduces workplace safety reforms (0) May 27, 2011 New laws have been passed in Queensland to increase protections for workers and reduce red tape for businesses. 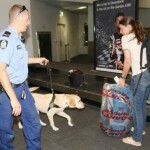 Kronic use hits Hunter Valley (0) May 27, 2011 Drug screening services are setting up in the Hunter Valley to test for Kronic use. 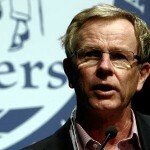 Swan, Barnett clash over royalties promises (5) May 27, 2011 West Australian Premier Colin Barnett has denied accusations from Wayne Swan that he is misleading Australians over royalty rises in his budget. 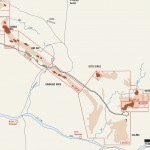 Rio Tinto’s Gove wins mining approval (0) May 27, 2011 Rio Tinto Alcan has received approval for a forty year mining lease at its Gove site. 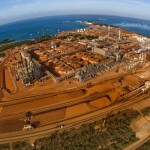 Rio Tinto Gove mine decision pending (0) May 26, 2011 Rio Tinto is still waiting on approval for a forty year lease agreement on its Gove bauxite and alumina mine. Magellan review Wiluna lead plans (0) May 26, 2011 Magellan Metals is deciding the future of its controversial lead mine. [Video] Blasting Tsunami (0) May 26, 2011 Underwater blasting captured on camera. QLD girls introduced to careers in mining (0) May 26, 2011 A careers forum targeted at young girls has introduced them to what’s involved with work in the resource sector. New minerals sand mine in NSW operational by 2014 (0) May 26, 2011 Bemax Metals has announced a new mine it hopes to have up and running in New South Wales in the next few years. Atlas Iron chairman retires (0) May 26, 2011 Atlas Iron chairman Geoff Clifford has announced his resignation. 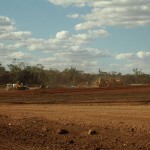 Mining company surrenders exploration rights on traditional land (0) May 26, 2011 A mining company that was given permission to drill on sacred sites has been praised by the traditional owners for deciding not to explore there. BHP coal union scuffle (0) May 25, 2011 BHP Billiton and unions are reportedly in discussions over industrial action at a number of its Queensland coal mines. Cyanide discovered in Gladstone stormwater drains (0) May 25, 2011 There are concerns for the health Gladstone residents, following traces of cyanide being discovered in water samples from a stormwater drain outside the Orica plant. Birth of Pike River victim’s baby “bittersweet” (0) May 25, 2011 The birth of a baby girl whose father is one of the Pike River Coal victims has been a “bittersweet” moment for the family. 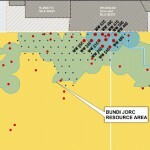 Iluka sees massive jump in share prices (0) May 25, 2011 Iluka Resources has announced a massive increase in its share price at its latest annual general meeting. Northern Illawarra CSG needs greater scrutiny: geologist (0) May 25, 2011 Concerns over plans to sink coal seam gas wells in the Illawarra have been raised by an industry insider. 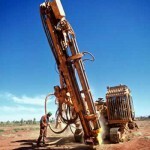 Cobar silver mine approved (0) May 25, 2011 Cobar Consolidated Resources (CCR) has been given the go ahead for the development of its Wonawinta silver mine. NZ Govt may fund Pike River body recovery (0) May 25, 2011 The New Zealand government says it may fund a recovery plan for the bodies of the Pike River Coal victims, if it is credible and likely to succeed. King of the Hills gold mine starts production (0) May 25, 2011 Gold production has begun at St Barbara’s King of the Hills underground mine. Diesel powers Pilbara as stop gap solution (0) May 25, 2011 Emergency diesel generators will be shipped to the Pilbara after a bungled state budget. PM to meet with mining women (0) May 25, 2011 Prime Minister Julia Gillard will meet with up to 200 women from the resource sector in central Queensland on Friday. Greens policies on coal mine ban slammed (0) May 25, 2011 Calls by the Australian Greens to ban new coal mines has been labeled potentially catastrophic by free market think tank the Institute of Public Affairs. Grylls rejects Grattan regional royalties report (0) May 24, 2011 WA Nationals leader Brendon Grylls has rejected a report labelling his Royalties for Regions scheme a failure. Teams entering Pike River (0) May 24, 2011 Rescuers will enter the Pike River Coal mine next week, but the bodies of the 29 miners entombed in there will not be recovered for weeks, the receiver says. Newcastle Ports brushes off Tinkler comments (0) May 24, 2011 Newcastle Port Corporation has ignored criticism from Nathan Tinkler following the announcement of his coal loader plans. Royalties for regions labelled a waste of money (0) May 24, 2011 Western Australia’s Royalties for Region program has been slammed as a waste of money. Inquest into Port Hedland mine workers death begins (0) May 24, 2011 A coronial inquest into the death of a worker at a Port Hedland site began today. Federal Minister no-show at mining conference (0) May 24, 2011 Attendees of a key mining conference in Broken Hill have been disappointed by the federal Minister for Resources failure to show up. 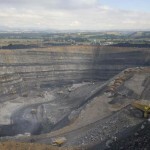 Centennial’s Awaba coal mine extension approved (0) May 24, 2011 The New South Wales Planning Department has approved Centennial Coal’s Awaba mine extension. Drilling begins at Belanglo State Forest (0) May 24, 2011 A subsidiary of Cockatoo Coal has begun drilling exploratory wells in the Belanglo State Forest. QLD communities form mining alliance (0) May 24, 2011 Delegates from Queensland mining communities have joined together to form a state wide community mining group. 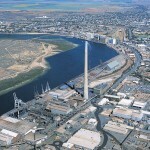 Santos plant workers sacked for planking on smokestacks (0) May 23, 2011 Two South Australian resource workers have been fired for planking on top of a plant’s smokestacks, 60 metres off the ground. GR Engineering enters into $360 million contract (0) May 23, 2011 GR Engineering has won an engineering, procurement and construction contract for the development of Moly Mines’ processing plant. 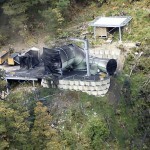 Union comments about Pike River “churlish”: NZ PM (0) May 23, 2011 The New Zealand Prime Minister has slammed comments by a union boss that Pike River management worked too closely with the government and were not subjected to proper scrutiny. Xstrata copper smelter phase out backed by Mt Isa (0) May 23, 2011 The Mount Isa community has offered support for Xstrata’s decision to close its copper smelting and refinery operations. 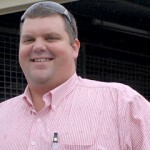 Choosy workers damaging resource sector: QRC boss (0) May 23, 2011 The head of Queensland’s leading industry body says choosy workers are making will make it difficult to fill the skills gaps in the state. Iron ore development in South Australia; New South Wales (0) May 23, 2011 Iron ore explorers have formed an alliance to develop infrastructure in South Australia and New South Wales. Benchmark coal wash plant in Mongolia (0) May 23, 2011 A benchmark coal wash plant in the new mining hotspot of Mongolia has hit its critical ‘lights on’ date with the help of nine Australian electrical engineers. Tinkler coal loader plans to go public (0) May 23, 2011 Nathan Tinkler says in 30 days he will lodge plans for his coal loaders at a former BHP Billiton in Mayfield. Easternwell signs agreement with Fortescue (0) May 20, 2011 Easternwell will provide drilling services for Fortescue Metals Group. Maitland to Minimbah track starting (0) May 20, 2011 The $270 million train line from Maitland to Minimbah third track project is due to start in coming weeks. Bechtel, unions meet after Rio Tinto Yarwun 2 accident (0) May 20, 2011 Bechtel managing director Andy Greig yesterday met with unions following a serious accident at its Yarwun 2 construction site. 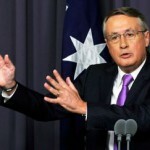 WA will share iron ore profits: Swan (0) May 20, 2011 Western Australia may lose out on $2 billion from raised royalty rates on iron ore miners, under federal treasurer Wayne Swan’s plans to share the resource profits with other states. 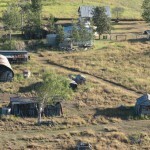 Tougher regulations may stop Ipswich mining: QRC boss (0) May 20, 2011 The head of Queensland’s leading industry body says it is unlikely new coal mining will occur in Ipswich’s rural areas due to a population build up over recent years. Xstrata copper smelter workers get taskforce (0) May 20, 2011 The Queensland Government will set up a taskforce to help workers affected by Xstrata shutting down its copper smelting and refinery works. 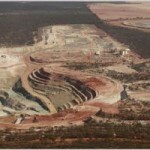 AMEC says EPA lacking transparency (0) May 20, 2011 The Association of Mining and Exploration Companies has slammed the Western Australian Environmental Protection Authority for lack of transparency. 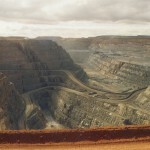 AMEC slams iron ore royalty rate increase (1) May 20, 2011 The Association of Mining and Exploration Companies have slammed the West Australian Government’s decision to increase mining royalty rates. Mining boom to benefit WA by $4bn a year (0) May 19, 2011 Western Australia looks set to receive $4 billion per year in mining royalties. Dubbo bids for $20 million mining school (0) May 19, 2011 The New South Wales city of Dubbo has made an initial bid for a mining school in the area. Rio Tinto Yarwun 2 refinery worker loses leg (0) May 19, 2011 A worker has had his right leg partially amputated following an accident at Rio Tinto’s Yarwun 2 refinery construction site. Bradken acquires Wear Protect Systems (0) May 19, 2011 Bradken has acquired Wear Protect Systems in Western Australia for $13.3 million. 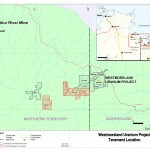 Rio Tinto, Laramide search NT for uranium (0) May 19, 2011 Laramide Resources and Rio Tinto Exploration have entered into a joint venture to explore for uranium in the Northern Territory. CSG needs better planning: expert (0) May 19, 2011 A leading natural resources expert says Australia needs to establish more sustainable land use planning before coal seam gas (CSG) mining is permitted. 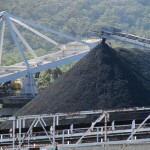 Carbon price to tax mining (0) May 19, 2011 The Queensland Resources Council is calling for the Government to take a transitional approach to a carbon tax. 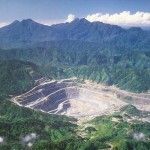 Bougainville Copper to reopen PNG mine (2) May 19, 2011 The Panguna copper mine on the Papua New Guinea island of Bougainville could reopen within five years. 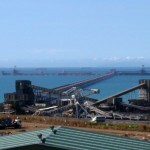 Xstrata smelter closure a carbon price warning: QRC (0) May 19, 2011 Xstrata’s decision to close its copper smelter is a warning of the fragility of the Australian resources sector global competitiveness, the Queensland Resources Council warns. 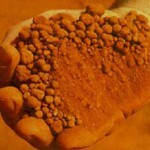 Port Pirie iron ore approval recommended (0) May 18, 2011 The South Australian Development Assessment Commission has recommended the approval of WPG Resources iron ore storage facility at Port Pirie. 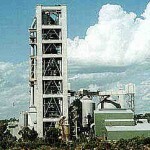 Tougher rules for Cockburn Cement plant (0) May 18, 2011 Western Australian Environment Minister Bill Marmion has announced tough new environmental restrictions on the Cockburn Cement plant in Munster following years of complaints, government reports and a parliamentary inquiry. 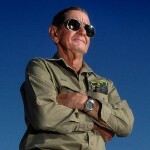 Bob Irwin in court over CSG protest (0) May 18, 2011 The Crocodile Hunter’s father is facing court today charged with disobeying police during an anti-coal seam gas (CSG) rally in Queensland. Xstrata Coal push ahead on Rolleston (0) May 18, 2011 Xstrata is set to forge ahead with the expansion of its Rolleston coal mine in Queensland. Xstrata fined for disturbing Aboriginal artefacts (0) May 18, 2011 Xstrata has been fined for the second time in as many months for causing disturbances to surrounding communities. NRW wins BHP contract (12) May 18, 2011 NRW Holdings has won a 12 month contract for BHP Billiton’s iron ore operations in the Pilbara. Find a different way to get into Pike River: families (0) May 18, 2011 The families of the Pike River Coal victims say they want a reconnaissance to recover the bodies of the 29 men who lay entombed in the mine. FIFO miner caught with illegal reptiles (0) May 18, 2011 A Pilbara FIFO miner has been fined nearly $4000 after been caught with four native snakes and a skink. Xstrata Mt Isa to phase out copper smelting (0) May 18, 2011 Xstrata Mount Isa Mines will phase out copper smelting and refining operations in Townsville by the end of 2016. 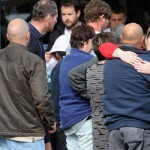 Second body seen inside Pike River (0) May 17, 2011 A second body has been seen in footage shot inside the Pike River coal mine, according to the families of the victims. Dalrymple Bay Coal Terminal ramping up (0) May 17, 2011 Despite the floods still pinching Queensland coal output, Dalrymple Bay Coal Terminal is set to see high levels of activity again. Coal miner appeals Margaret River decision (0) May 17, 2011 LD Operations is lodging an appeal against its proposal for an underground coal mine in West Australia’s Margaret River region. Cazaly Resources iron ore export plan scuttled (0) May 17, 2011 West Australian transport minister Troy Buswell and Fremantle MP Adele Carles are seeking to block Cazaly Resources Fremantle port export plan. A century of mine rescue (0) May 16, 2011 The Miners Hall of Fame celebrated 100 years of the Goldfields’ mine emergency response competition this weekend. 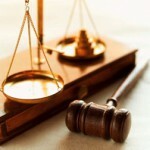 Miner fined $10 000 for 2009 incident (0) May 16, 2011 A miner with 40 years experience who accidentally ran over a co-worker three years ago will have to pay a fine, after already losing his career. Pike River miner farewelled today (0) May 16, 2011 Nearly six months after his death, Pike River Coal miner Chris Duggan will be farewelled at a memorial service in Greymouth today. Tasmania’s mining boom (0) May 16, 2011 Tasmania’s mining industry is at its highest point in decades. 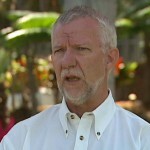 QLD farmer to lock bauxite miner out (0) May 16, 2011 A Queensland farmer says he will lock his gates today if a mining exploration company tried to enter his land. 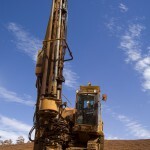 Drill and blasting best practices [Podcast] (0) May 16, 2011 Rob Goddard, a senior mining engineer at BCD Resources talks to MiningIQ about drilling and blasting best practice on site. Federal Minister wants NSW, Victorian uranium ban lifted (0) May 16, 2011 The Federal Resources Minister Martin Ferguson has called on Victoria and New South Wales to rethink the bans on uranium mining. St Barbara propose gold merger with Catalpa (0) May 16, 2011 St Barbara has proposed a merger with fellow gold miner Catalpa Resources. QRC boss discusses mining concerns with farmers (0) May 13, 2011 Farmers in Queensland’s Central Highlands have met with the state’s leading industry body to discuss their concerns for their land in light of the mining boom. 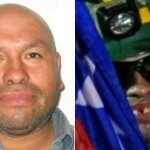 Chilean miner wants his note back (0) May 13, 2011 The Chilean miner who wrote the note that gave hope for a rescue at the San Jose mine wants it back. 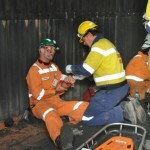 Man dies at Rio Tinto mine (0) May 13, 2011 A man has died at Rio Tinto’s Clermont mine near Rockhampton. BHP’s Olympic Dam plan released today (0) May 13, 2011 BHP Billiton will today release its revised plans for the expansion of its Olympic Dam mine. Metrocoal doubles thermal coal resources (0) May 12, 2011 Metrocoal has increased its Bundi project’s thermal coal resources by 56% to 923 million tonnes. 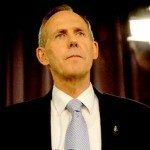 Greens say politicians prevented CSG inquiry (0) May 12, 2011 Australian Greens leader Bob Brown has accused Liberal and Labor senators of standing in the way of the party’s proposed senate enquiry into the coal seam gas (CSG) industry. Grants for mining safety launched in Mudgee (0) May 12, 2011 Schools and community groups in Mudgee could receive up to $2000 for identifying their own health and safety challenges. 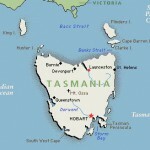 Tasmania reiterates mining’s importance (0) May 12, 2011 As the five year anniversary of the Beaconsfield mining disaster passes, Tasmania has reconfirmed the importance of mining to the State. 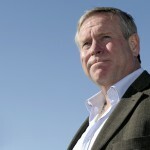 Budget deceiving Australians about mining benefits: Barnett (0) May 12, 2011 West Australian Premier Colin Barnett has criticised the federal budget, saying it relies too much on mining. One in ten miners on legal drugs (0) May 12, 2011 An average of 10% of all miners tested were positive for synthetic cannabis following a recent drug blitz on West Australian mines. BHP making more money than it can spend (0) May 12, 2011 Due to the boom in the resource sector and increasing commodity prices, BHP is making money faster that it can spend it. Queensland’s flooded coal mines still impacting economy (0) May 12, 2011 Three quarters of Queensland’s mines are still filled with water. 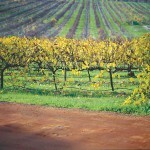 Hunter Valley councils see mining compo inequity (0) May 11, 2011 Vastly differing mining compensations have seen Hunter Valley councils effectively miss out on funding. Beaconsfield miners return to mine site (0) May 11, 2011 On the fifth anniversary of their rescue, survivors of the Beaconsfield gold mine disaster yesterday returned to the place where they spent two weeks trapped underground. High lead levels at Geraldton (0) May 11, 2011 The Geraldton Port Authority has discovered “unacceptable levels of lead” in a shipment of copper concentrate. 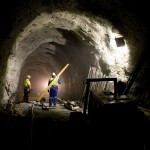 Hinchcliffe welcomes QLD mining focus in federal budget (0) May 11, 2011 Queensland’s Employment Skills and Mining Minister has praised the federal government for its efforts to boost skilled worker number in Queensland in last night’s budget. Federal budget impacts mining regions (0) May 11, 2011 The announcement of the federal showed a dependence on the mining industry but it will impact various mining regions in different ways. Barminco wins Sunrise Dam gold contract (0) May 11, 2011 Barminco has won the underground mining contract for AngloGold Ashanti’s Sunrise Dam mine. Skilled migration for the mining industry (0) May 11, 2011 Employers in the resource in industry are urging the Federal Government to ignore demands from political groups and unions opposed to increasing the level of skilled migration. Coal miner bought by recruitment firm (0) May 11, 2011 Recruitment and labour hire firm Humanis has acquired nearly half of coal miner Springsure Mining. Federal Budget reiterates Geoscience Australia’s importance (0) May 11, 2011 A government review in the latest Federal budget has confirmed the value of Geoscience Australia in developing the nation’s resources. Misery loves company at BHP Canada mine (0) May 10, 2011 BHP Billiton has approved the Misery open pit project at its EKATI Diamond Mine in Canada. Audit finds dangers in other NZ mines (0) May 10, 2011 The audit of coal mines in New Zealand following the Pike River Coal mine tragedy has found two mines are not compliant with health and safety regulations. Copper slurry spill at Darwin (0) May 10, 2011 There has been another copper concentrate spill at the Port of Darwin. Voyager resources expanding mining operations in Mongolia (0) May 10, 2011 Voyager Resources is the latest ASX-listed mining company to expand its operations into the growing Mongolian market. Rise of Asia biggest event since industrial revolution: BHP chairman (0) May 10, 2011 The world’s shift towards export and trading with Asia is the most significant event since the industrial revolution, according to BHP Billiton chairman Jac Nasser. First coal load at Abbot Point’s new berth (0) May 10, 2011 The first ship to receive coal from the Abbot Point coal terminal following expansion, is preparing to sail. $US129 million expansion at Cobar mine (0) May 10, 2011 The Glencore-owned Cobar copper mine could see a huge boost to production, with a $US139 million expansion. QR coal haulage still feels cyclone pinch (0) May 10, 2011 QR National is still feeling the impact of Cyclone Yasi and heavy wet weather. Opposition claims budget too reliant on China (0) May 9, 2011 The federal shadow resource spokesman has slammed the mining tax proposed by the Gillard government, saying it underpins the budget and is causing other policies to fall apart. Incitec Pivot records 25% profit jump (0) May 9, 2011 Incitec Pivot has announced an NPAT increase of 25%, recording a profit of $165.6 million. 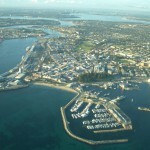 MinRes wins Kwinana port space (0) May 9, 2011 Mineral Resources has secured export space at Western Australia’s Kwinana port. Rio misleading about mine safety: union (0) May 9, 2011 The miners union has accused Rio Tinto of having an outdated approach to mine safety. 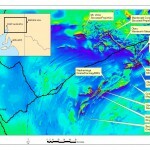 Bowen Basin to see new mining projects (0) May 9, 2011 Thirty eight new projects are set to being in the Bowen Basin. NSW mining supports young talent in Hunter (0) May 6, 2011 Over 100 teenagers from the Hunter region have been given free access to films and workshops to increase their knowledge and interest in the resources sector. 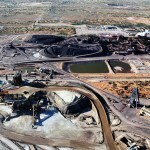 Xstrata denies big environmental damage at Surat Basin coal mine (0) May 6, 2011 Xstrata has denied its proposed coal mine in the Surat Basin will have big negative impacts on greenhouse gas emissions. 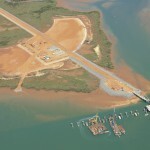 Cape York mine approved by traditional owners (0) May 6, 2011 A bauxite mining company has finalised agreements with Aboriginal traditional land owners in western Cape York. Australian govt supports Leighton Holding Iraq construction project (0) May 5, 2011 A $US733 million contract for Leighton Holdings to construct enhanced crude oil facilities in southern Iraq has been met with support from the Export Finance and Insurance Corporation (EFIC). New laws in NSW for mining and agriculture conflicts (0) May 5, 2011 The New South Wales government has introduced a new regime to deal with conflicts between agriculture and tourism and the coal seam and coal seam gas (CSG) industries. 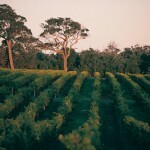 New laws in WA protect wine region from mining (0) May 5, 2011 It could become harder to mine in Western Australia’s Margaret River wine-growing region, as the state government considers new legislation to protect the area. Gina Rinehart urges Australians to fight against carbon and mining taxes (2) May 5, 2011 Gina Rinehart believes Australia is failing to stand up and fight against the introduction of carbon and mining taxes. Harmonised workplace safety laws a long time coming (0) May 5, 2011 New South Wales’ peak resource industry body says the introduction of new harmonised workplace health and safety laws will bring the state into the 21st century. Xstrata faces court over QLD coal mine (0) May 4, 2011 Mining giant Xstrata will be in court today to defend the greenhouse impacts of its proposed Wandoan coal mine. 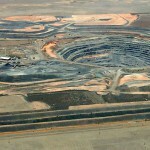 $1 trillion potential at SA site (0) May 4, 2011 The relaxation of legislation for non-military access in South Australia could result in $1 trillion worth of mineral wealth, according to the state’s peak mining body. 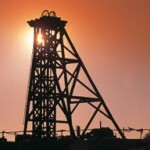 Aussie miners won’t be affected by Namibia’s legislation changes (0) May 4, 2011 Changes to Namibia’s mining legislation will not affect existing licenses and is not a step towards nationalism, a presidential representative says. Supporters of Camberwell mine not entitled to comment (0) May 4, 2011 A native title claimant has hit back at what he says are people unqualified to make comments or decisions about the proposed Ashton Coal mine in the Hunter Valley. Pike River buyer to be decided by August (13) May 3, 2011 The successful bidders for the Pike River Coal mine should be known by the beginning of August. Greens want senate inquiry into undersea mining (0) May 3, 2011 Leader of the Australian Greens, Bob Brown, want a senate enquiry into the impact of undersea mining. LD Operations told to give up on Margaret River mine (0) May 3, 2011 A coal mining company that wants to mine near Margaret River has been accused of ignoring environmental restrictions placed on it. No charge for BHP’s Olympic Dam accident (0) May 3, 2011 The shaft failure at BHP Billiton’s Olympic Dam mine in 2009 that cost over $200 million has not been resulted in prosecution for the company. 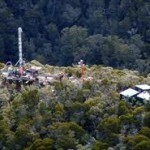 Bathurst Resources denies Pike River bid (0) May 2, 2011 A “positive” announcement tomorrow from Bathurst Resources will not be its intentions to bid on the embattled Pike River Coal mine. 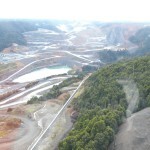 Claims money stopping receivers from entering Pike River mine (0) May 2, 2011 The former safety and training manager of the Pike River coal mine has voiced frustrations over the delays of re-entering the mine. More consultation needed from NSW govt for coal mining strategies (0) May 2, 2011 New South Wales’ leading resource industry body has urged the state government to make involvement with communities, industry and stake holders a top priority as it develops new strategies. 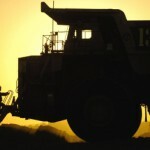 Mining boom could increase inflation: govt (0) May 2, 2011 Australia faces an increase in inflation as the mining boom is expected to continue its growth over the next two years, the Treasury says. 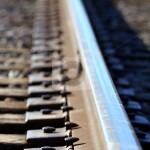 Peculiar Knob award iron ore rail contract (0) April 29, 2011 WPG Resources have announced a rail haulage agreement with Genesee & Wyoming Australia for iron ore transportation from Peculiar Knob. Aussie mum wants son’s body back from Pike River (0) April 29, 2011 The discovery of a fully-clothed body inside the Pike River coal mine has increased calls from families to retrieve the bodies of victims. 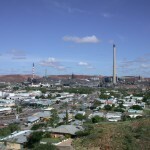 Rio increases Indigenous involvement in Pilbara (0) April 29, 2011 Rio Tinto says a new contract of more than $160 million for Pilbara construction works is a positive step towards increasing Indigenous business involvement. Man arrested entering Pike River (0) April 29, 2011 A man has been arrested and charged for unlawfully entering the Pike River coal mine. Don’t waste the boom, IMF warns (0) April 29, 2011 The International Monetary Fund says the Australian Government should use revenue from the mining boom to support its ageing population. Rifts within Indigenous community against Upper Hunter mining (0) April 29, 2011 An indigenous protest group in Upper Hunter have been labelled a noisy minority group by a local Aboriginal corporation. 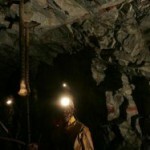 Illegal mining officials will be hanged (0) April 29, 2011 Indian officials who allowed illegal mining will be hanged the Goa region’s government says. Body in Pike River changes nothing: NZ PM (0) April 29, 2011 New Zealand Prime Minister John Key says the discovery of a fully clothed body inside the Pike River Coal mine where 29 men were killed changes little. Xstrata sign iron ore rail deal (0) April 29, 2011 Xstrata has announced a rail deal with Queensland Rail (QR) and Pacific National to transport iron ore.
NZ government owed Pike River victims safety reforms: union (0) April 28, 2011 A local union says the New Zealand government owes it to the men who were killed in the Pike River Coal mine to improve workplace safety. Miners give Hall of Fame a lifeline (0) April 28, 2011 The WA mining industry has donated more than half a million dollars to ensure Kalgoorlie’s Prospectors and Miners Hall of Fame remains open. Perth glassing could dash hopes for mining career (0) April 28, 2011 The glassing of a man in Perth may have left him unable to fulfil his dreams of a mining career. Sandfire begins DeGrussa development (0) April 28, 2011 Sandfire Resources have carried out maiden blasting for the excavation of the box-cut to establish portal entrance. 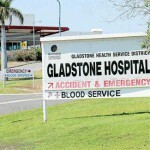 QLD govt should fund health, not mining companies: MP (0) April 28, 2011 The Queensland Government needs to provide more funding for health infrastructure, and should not rely on mining and energy companies, according to a state MP. Aborigines protest coal mining (0) April 28, 2011 Police have removed a group of Aborigines protesting against Ashton Coal’s proposed mine in the Hunter Valley. Fully clothed body found inside Pike River mine (0) April 28, 2011 A fully clothed body has been seen inside the Pike River Coal mine, indicating some of the 29 men killed in the mine may have survived the first blast. Explosives fine for quarry (0) April 28, 2011 A man has been fined $10 000 for dangerously storing explosives. 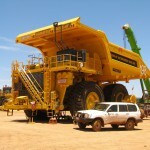 Hire vehicle shortage hits mines (0) April 28, 2011 Car hire firms in Queensland say a shortage of vehicles is making it difficult to get miners to sites in the Bowen Basin. 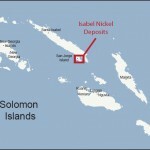 Solomon Islands revoke Australian mining licence (0) April 27, 2011 The Solomon Islands Government says a prospecting licence granted to Axoim Mining is not valid after the minister was sacked. WorleyParsons wins Fortescue port contract (0) April 27, 2011 WorleyParsons has been awarded the EPCM contract for Fortecue’s Anderson Point port expansion. QLD farmers to fight bauxite exploration (0) April 27, 2011 Some Queensland farmers say a mining exploration company wants to access their properties for bauxite exploration. 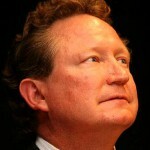 Twiggy gets death threats over fight with WA community (0) April 27, 2011 Andrew “Twiggy” Forrest says he has received death threats over his company’s controversial debate with an Aboriginal community in Western Australia about mining on their traditional land. Range River Gold enter administration (0) April 27, 2011 Range River Gold has been placed into voluntary administration today.